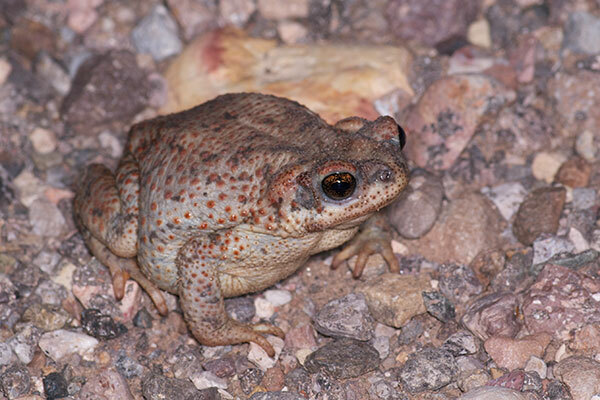 These toads are common throughout the deserts of the US southwest, but I had somehow managed to avoid seeing one up until now. 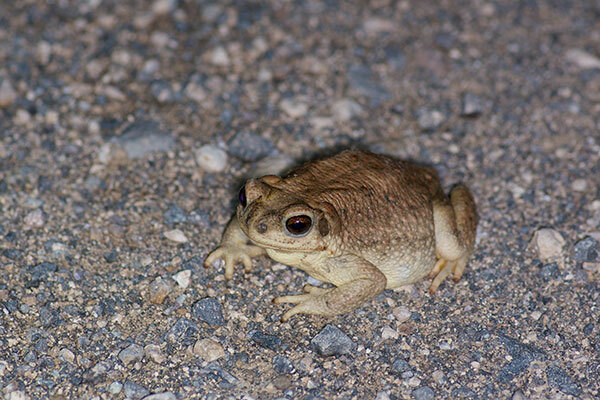 This one was hunkered down on the road at night. 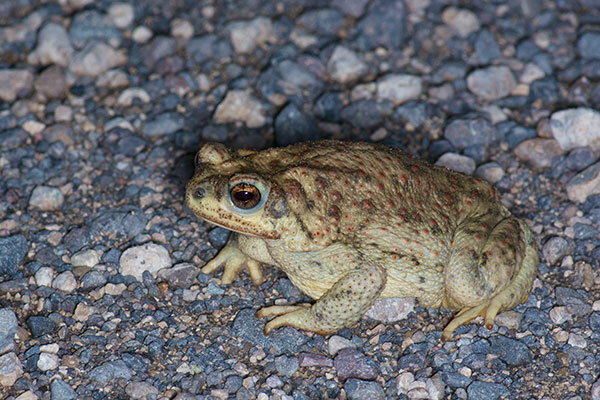 Once the red-spotted toad floodgates are opened, there are red-spotted toads everywhere you look. 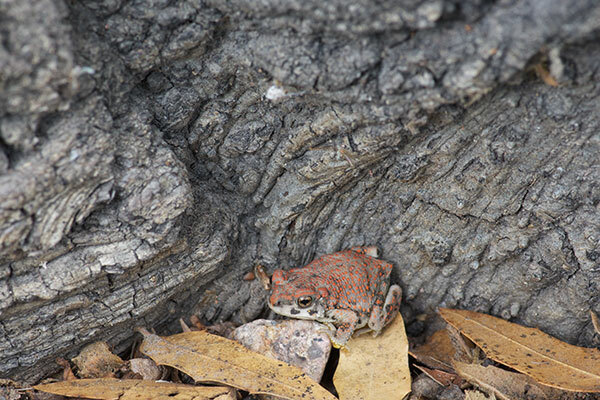 Tiny metamorph red-spotted frogs live up to their name even better than the adults. 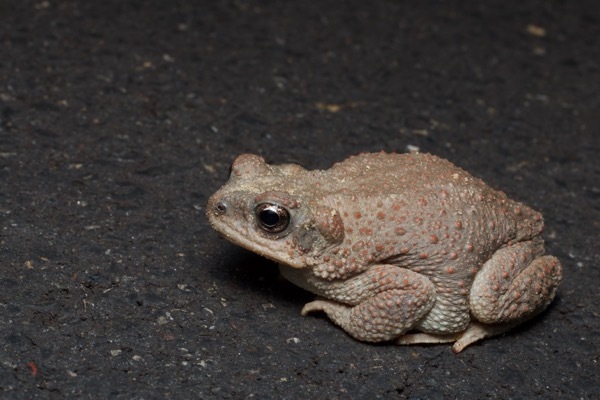 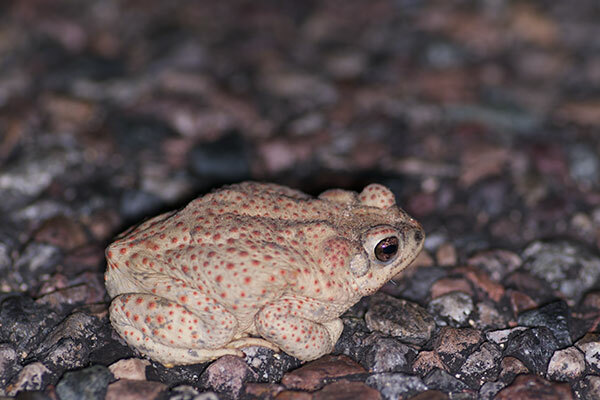 It took me a few minutes to recognize the smaller toads hopping around on the road after dark, because they didn't have very prominent red spots. 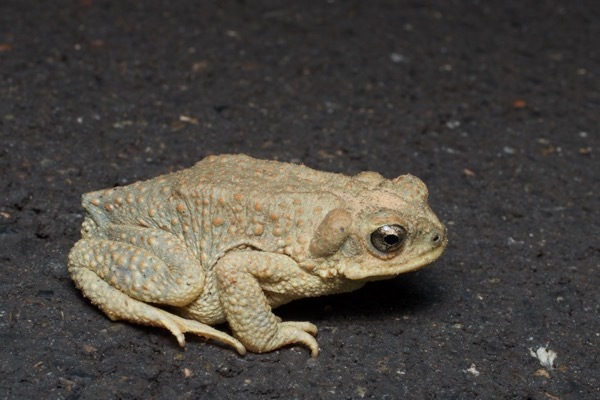 But the small, flat head and shape of the paratoid gland (lumpy things behind the ears) ruled out the various other local toad species. 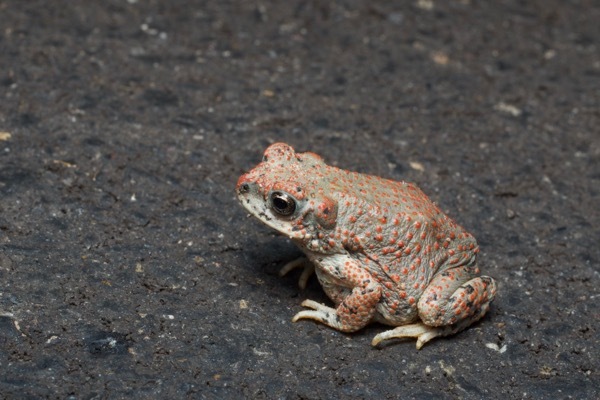 This sequence of increasingly aged toads found within a mile or so of each other shows how the bright red spots of youth fade to the palest orange in old age.